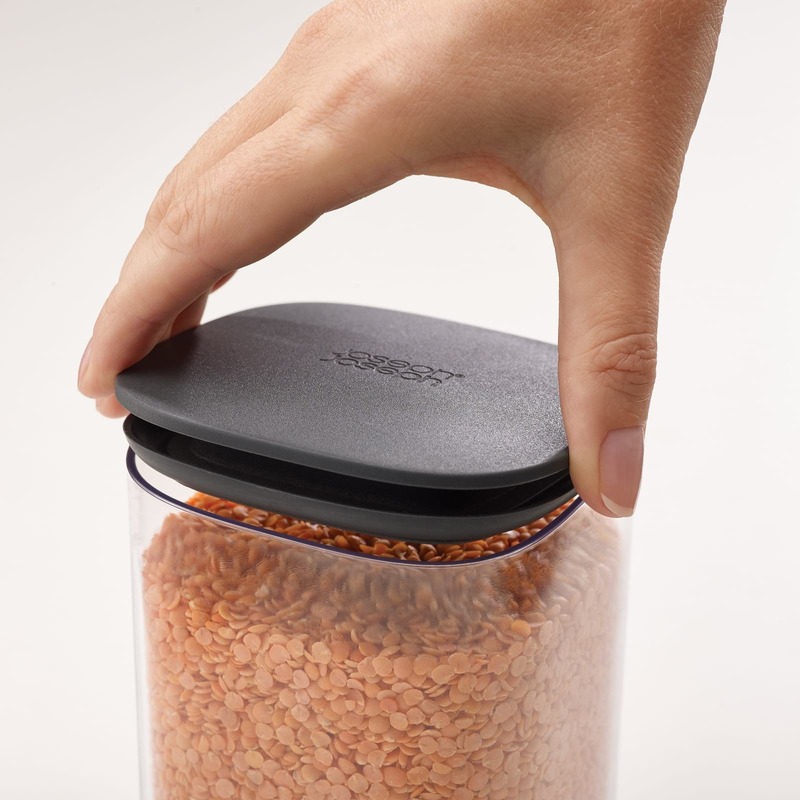 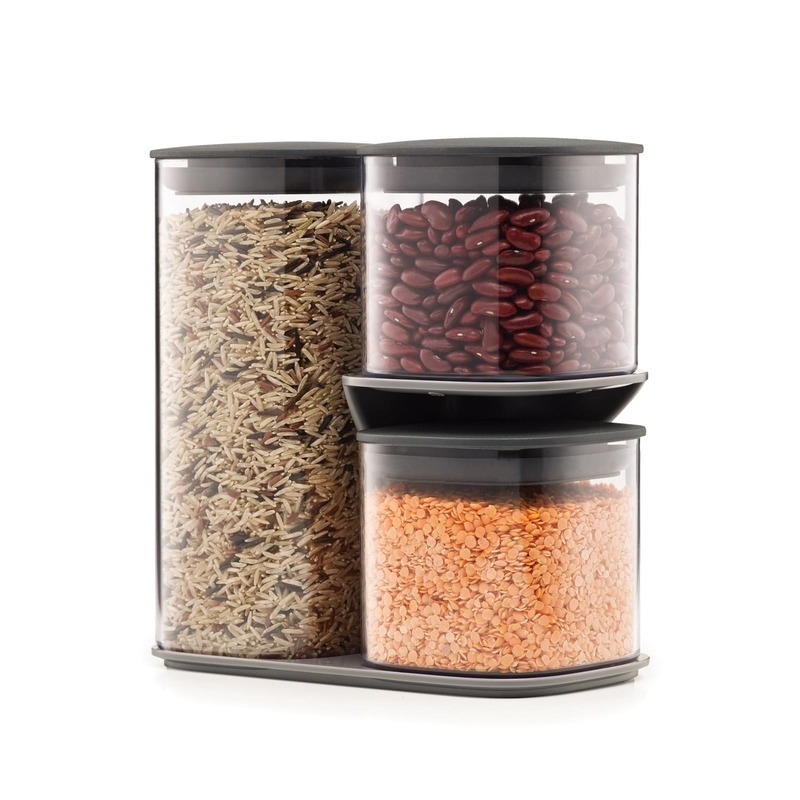 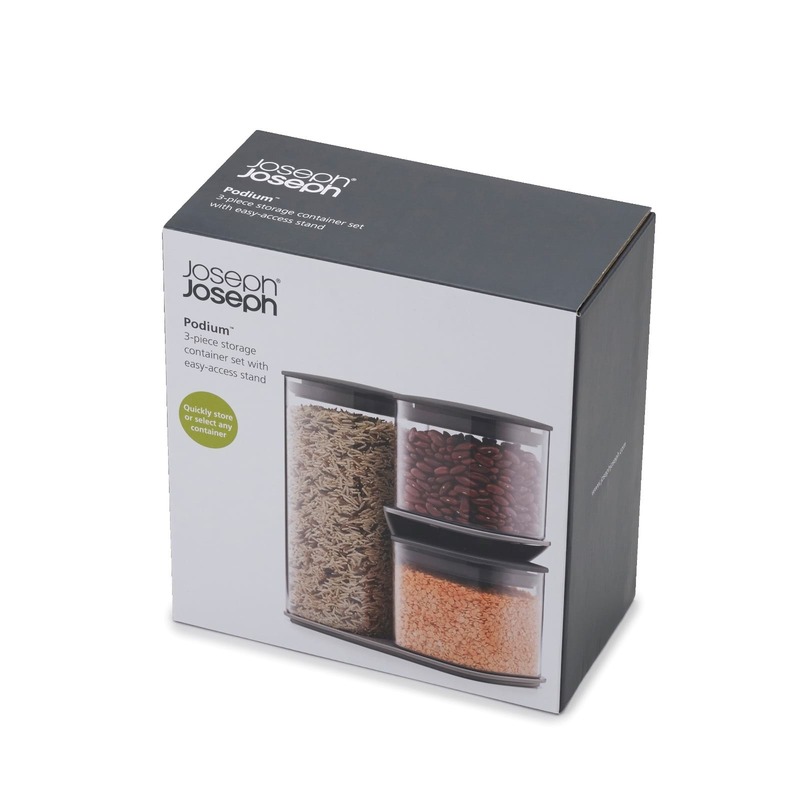 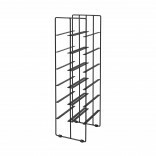 Podium 3-piece Food Container Set by Joseph Joseph is the ultimate storage solution for dried food. 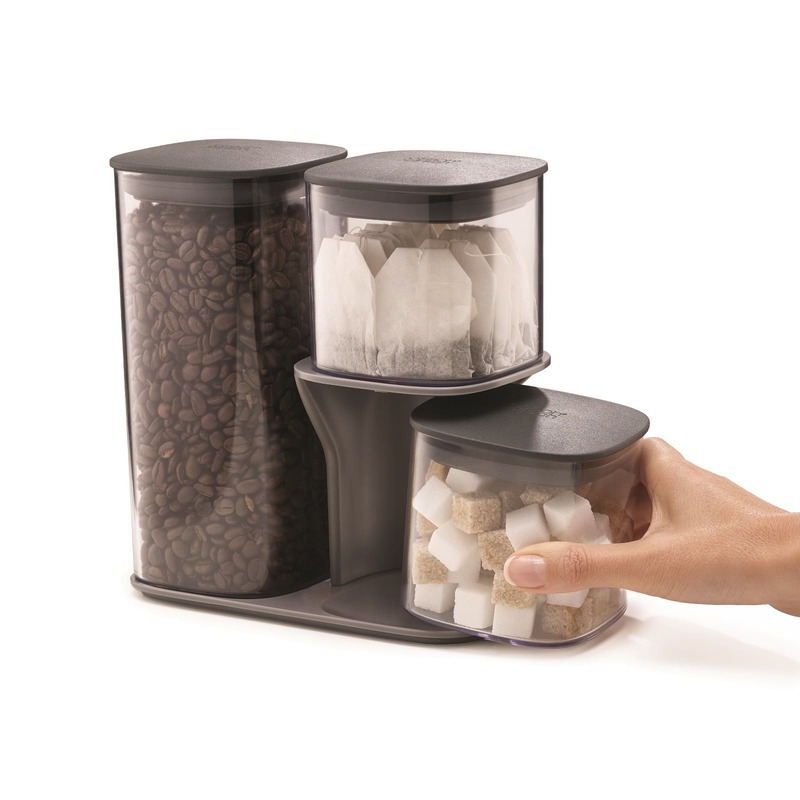 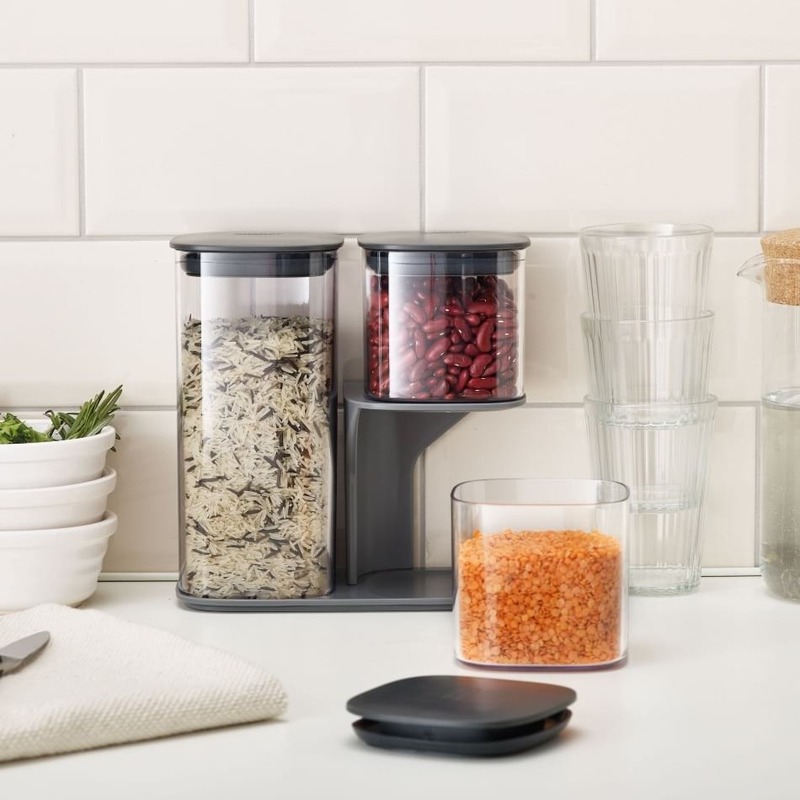 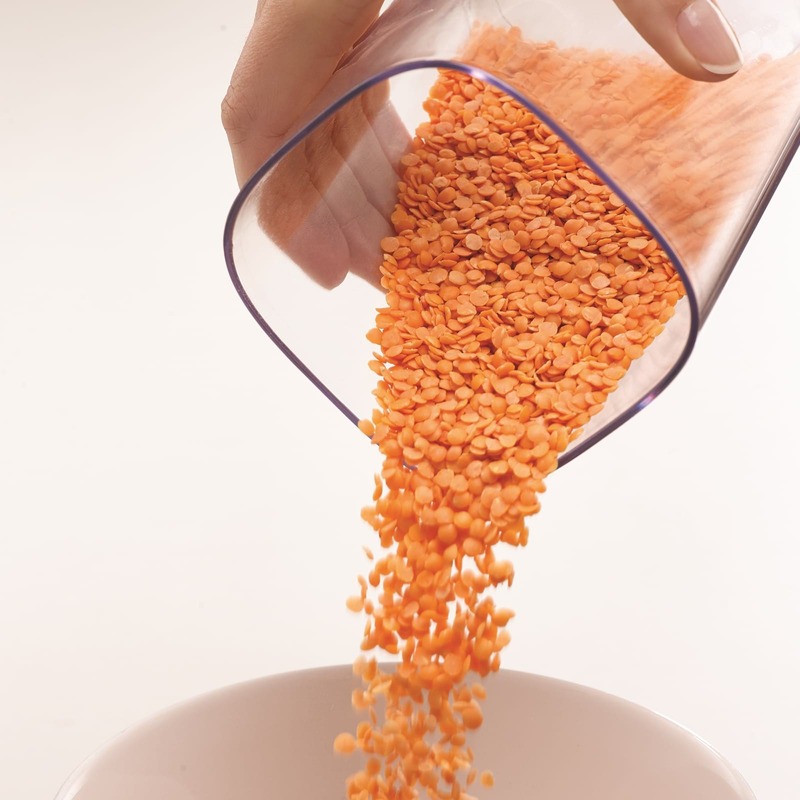 This clever set lets you store neatly on the countertop and access each airtight container with ease. 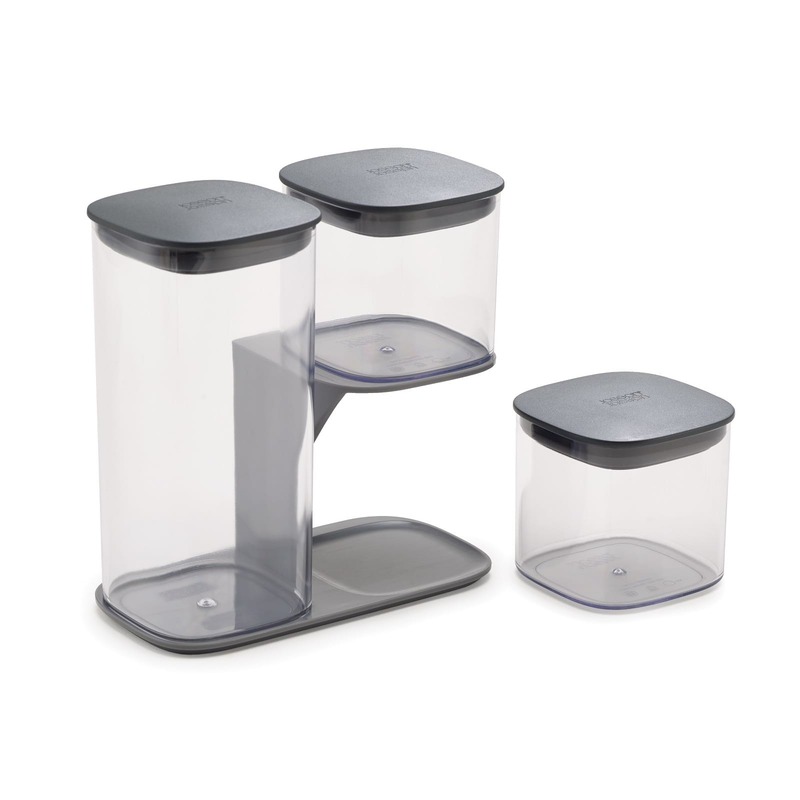 Set Includes: Three food containers and one stand. 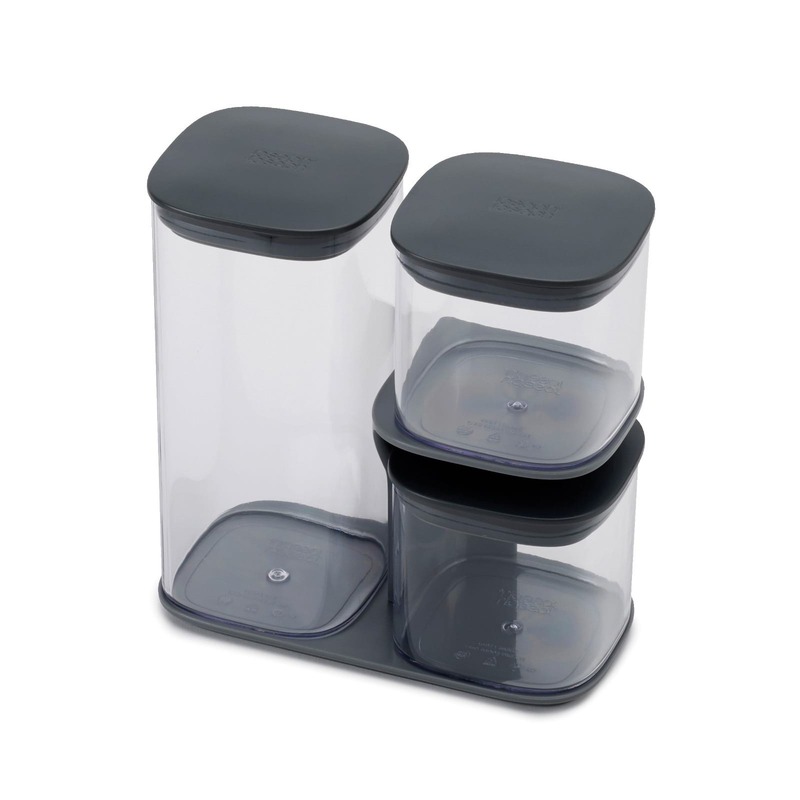 Container sizes: 1 x 1.3 L (1.3 qt), 2 x 500 ml (0.5 qt). 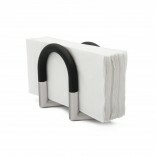 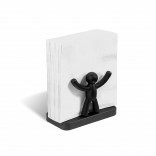 Overall Dimensions: 20.4cm W x 10.4cm D x 21.3cm H.